Hillary Clinton, Sidney Blumenthal, Libya: Unofficial adviser represented business interests, Times says. 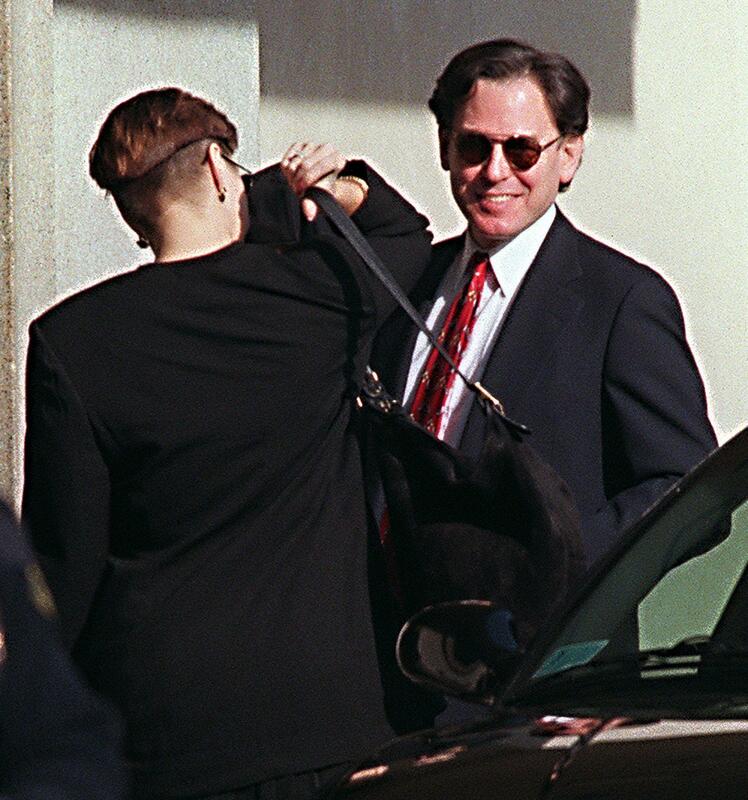 The rarely photographed Sidney Blumenthal in February 1998. On Monday, a New York Times story demonstrated more specifically why Clinton’s interactions with Blumenthal may have been a bad idea. Blumenthal, the Times reports via solid sources, was advising the Secretary of State both before and after former Libyan autocrat Muammar Qaddafi’s death while also advising a group of private individuals who hoped to make money by obtaining reconstruction-type contracts in a post-Qaddafi Libya. It is not clear whether Mrs. Clinton or the State Department knew of Mr. Blumenthal’s interest in pursuing business in Libya; a State Department spokesman declined to say. Many aspects of Mr. Blumenthal’s involvement in the planned Libyan venture remain unclear. He declined repeated requests to discuss it. House Republican Trey Gowdy is expected to subpoena Blumenthal to ask him about the advice and information he passed to the State Department. At the time of the events in question, Blumenthal was also employed by the Clinton Foundation charity, which has been its own separate source of Clintonian conflict-of-interest scandal of late. In summary: In 2011 and 2012 Clinton, as Secretary of State, used an off-books email account to discuss national policy with a private citizen who might have been violating the law by participating in the conversation, who had a financial interest* in the subject of his advice that he may or may not have disclosed to the government, and who was simultaneously employed by a nonprofit that has been accused of acting as the bag man for a Clintonian influence-peddling operation. Politically speaking, this isn’t a fire yet. But it’s getting hard to see that through all the smoke. *Update, May 28, 2015: Politico reports that a Blumenthal attorney denies Blumenthal had a financial interest in Libya. His lawyer, former Deputy Attorney General James Cole, told POLITICO on Wednesday that Blumenthal did not have any financial interest in the efforts of the two companies pushing to win contracts in Libya — Osprey Global Solutions and Constellations Group. “He never got any money from — and has no continuing relationship with — Osprey or Constellations,” said Cole. That’s slightly ambiguous wording on Politico’s part, given that not receiving money from a business and not having any potential financial interest in its success are not necessarily the same thing—and that the Times reported that the Libya companies were not successful in their efforts to win contracts. I emailed and called James Cole to clarify that point and will update both posts if he responds.